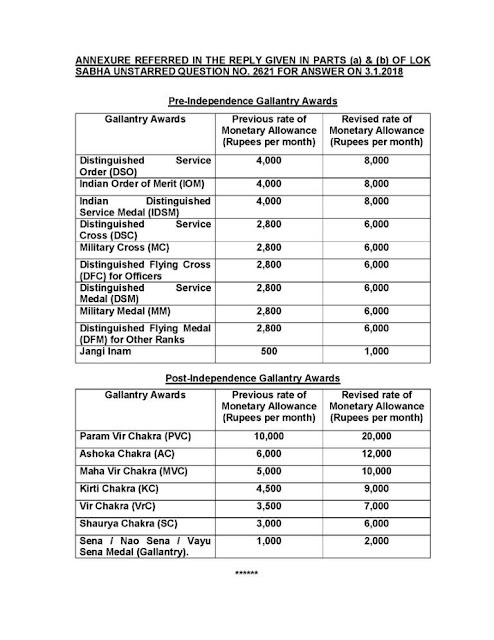 (b) if so, the details of likely increase in allowance for different categories of awards? (a) & (b): Government has enhanced the monthly monetary allowances attached to Pre-Independence and Post-Independence Gallantry Awards with effect from 1st August, 2017. The details thereof are attached as Annexure.